The following article is courtesy of Zain Nabi. It follows the first match by the squad being assembled in Melbourne to represent Pakistan at the 2014 International Cup. This truly is a case of the first tentative steps towards international competition for a new footy nation. Lo and behold! Perfect kicks, meticulous interceptions, scintillating mark, commendable team work, and, of course, crowd support were the highlights of the game as Shaheens took on their first actual opponents, Just Play – a local football team, and defeated them 44-26 under the overcast conditions at Princes Park Carlton. AFL PNG has been a top two finish in each of the 4 AFL International Cup tournaments to date and will look in 2014 to repeat their success of 2008 when they took out the big one at the MCG. The following is a media release from AFL PNG announcing their initial IC14 squad. AFL PNG has named an initial 42 man squad for the 2014 International Cup to be held in Melbourne in August next year. These selections have been based on performances by the emerging Mosquitoes in Lae in September, BSP Cup form, Australian form and past national performances. Injuries have also been considered. The squad can and will be added to and deleted at any time. AFL Canada today announced a 37 man Team Canada Northwind squad for the 2014 International Cup in Melbourne. The squad containing plenty of familiar names from the past International Cups and some fresh faces. Canada finished tenth at the 2011 International Cup and are currently ranked 14th in the World Footy News unofficial World Rankings. The full squad can be seen below. Thanks to Zain Nabi for the following article. Pakistan Shaheens to fly at IC14? It's now less than a year until the 2014 AFL International Cup and one of the exciting features every three years is the anticipation of new footy nations making their Cup debut. With rapid growth over recent tournaments it's possible there will be a plateauing in new teams, but if Kashif Bouns gets his way we'll see the entry of the Pakistan Shaheens to represent that country for the first time. 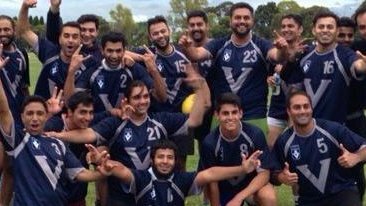 Kashif is an AFL Multicultural Officer but takes his passion for the game and his original homeland beyond business hours. 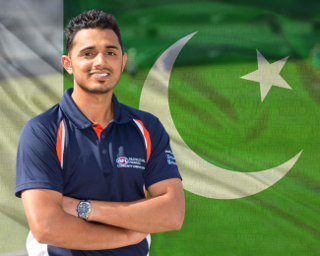 "I have been working in Football for last three years and when I first came across the International Cup in 2011, I straightaway dreamt of entering a Pakistani team, however it just remained a dream until, Tony Woods and Peter Romaniw (AFL International section) who work with me in Game Development department started preparing for the 2014 tournament. I had a chat with them and understood what the requirements were. I had some meeting with the leaders in Pakistani community and also touched base with Ash Nugent (President of Masala Football Club, a key off field member of the IC11 Indian team and a worldfootynews.com alumnus) before I really got going". Tru Blu Entertainment announced today that AFL Live 2 is currently in development and will be released later this year on PlayStation®3 and Xbox 360®. AFL Live 2 promises to deliver a deeper and richer gameplay experience, as well as adding new features to the successful franchise. The 2014 AFL International Cup, to be played in Melbourne from Saturday August 9 to Saturday August 23, will once again feature a two division competition for men and one division competition for women. The men will be split after a day of short seeding matches, much the same as occurred in 2011. New to the International Cup will be an AFL9s tournament, which the AFL describes as an "exciting and new evolution to the AFL International Cup with an objective of providing an entry level opportunity for a greater number of countries and teams to be involved". Indeed the lure of a shorter stay with less players required could see a number of new nations participate for the first time, hopefully with the goal of graduating to the full-side version in future Cups. Read on for the preliminary schedule of events. 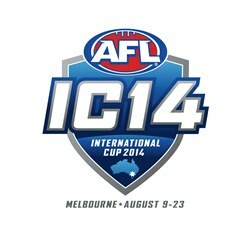 The AFL today announced the 2014 International Cup will be held in Melbourne from Saturday August 9 to Saturday August 23, 2014. The fifth International Cup carnival will include two AFL curtain-raiser matches, matches played at AFL and VFL venues, a men’s and women’s competition, a standalone AFL 9s fixture and matches linked with community football leagues. “We are committed to building on the success of IC11 and we believe we can once again deliver a great experience for all participating nations by hosting this event in the AFL’s heartland. 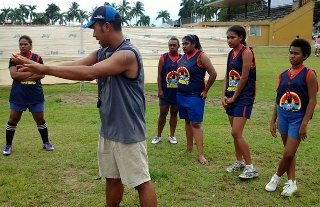 AFL Fiji has started a school holiday footy clinic in Albert Park, Suva, with the aim of increasing female participation in the game ahead of next year’s International Cup. Despite low turnout on the first few days, as word has spread, more and more girls have begun turning up to the training sessions, many of them with experience playing other sports, such as rugby. The boys also have a holiday clinic and some of them are staying on to help the senior players organise the girls’ training too. AFL Fiji’s Lupe Wolfgramm told the Fiji Times that the school program to introduce the sport to women started in mid-April, adding that the response was overwhelming. On the back of their success in the Western Division, they are now turning their attention to Suva. If the recruitment and training continues to go well, Wolfgramm says she would like to try the girls out in a game situation, possibly a women’s exhibition match during the Oceania Cup in December.